Cashman Kennels has been discriminately breeding for standards that set them apart from most Labrador Retriever breeders. Our goal is to offer a choice of stud dogs that will exceed the hunting dog enthusiast's greatest expectations. For over 20 years, we have been researching and selectively combining some of the best English (British) Field Trial bloodlines with some outstanding producing American Field Trial bloodlines. We find their respective strengths quite complimentary. However, we have not hesitated to add some proven hunt test/hunting dog bloodlines to achieve the best genetics found in the exceptional, versatile Labrador Retriever. Raider is an excellent example of our breeding philosophy. Look below for a selection of dogs we have chosen to include in our program and why. The breeding philosophy, expectations, and training methods of the English lab are quite different from the American lab because different traits must be accentuated in order to compete successfully in the two respective Field Trials. At an English Field Trial, many handlers, with their dogs at heel, must remain in a line while over 100 pheasants are released and shot. The dogs must mark (remember the fall) the downed birds, but not retrieve until directed. If a dog wines, moves or has to be spoken to, he/she is disqualified. The dogs must hold steady at heel for an extended period of time while the birds are released and shot, which can be over an hour. Then, one dog is released at a time. Temperament is absolutely critical for the dog to succeed. If the bird is crippled, the dog must track the bird to complete the retrieve. To be competitive, the dogs are bred for calm temperament, stylish game finding and retrieving ability, exceptional noses, intelligence, and a willingness to please. In England, they do not use electric collars or force-fetch their dogs. Instead, these traits are bred for by using care in selecting their breeding stock. Also, by training their dogs through positive reinforcement, the dogs learn to sit quietly, while relaxed and steady, with no physical pressure from the handler under intense hunting situations. In England they tend to breed for the classic Labrador conformation (looks). The American Field Trial dog requires the same strengths as the English; however, different traits must be accentuated in order to compete successfully at an American Field Trial. At an American Field Trial, only one dog at a time walks to the line at heel. Up to four birds, one at a time, are thrown and shot before the dog is released to retrieve. Many retrieves exceed 300 yards, some of which are long challenging water retrieves. Much of the success of the dog depends on its marking ability because he/she must take a straight line through quite challenging terrain and water. In addition, the trial includes blind retrieves that require precise handling to keep the dog in a straight line to the hidden bird at distances of up to 400 yards. On a blind retrieve, the dog must not break into a hunt. Because of the complexity and difficulty of the trial, the dog must have great retrieving desire and perseverance. To be competitive, the dogs are bred for marking ability, athleticism, intelligence, retrieving desire and must be superb water dogs. Because of the many challenges at great distances, American Field Trial dogs are trained with an electric collar. The dog must be extremely driven and highly trainable. Although the American Field Trial program does include an amateur division (AFC), it became increasing difficult for amateurs to compete effectively. Generally, there are over 60 dogs competing in the Open and in the Amateur divisions. Only first place through fourth place receive points towards their titles in each respective division. In the late 1970's, there were many hunters/trialers that wanted a test that more closely resembled realistic hunting situations. This idea lead to the development of the hunt tests. One of these types of tests is the AKC Hunt Test. The AKC offers three increasingly difficult levels, Junior (JH), Senior (SH) and Master (MH), where you compete against a standard rather than competing for a placement. The hunt tests put greater emphasis on steadiness and honoring which are important in a good duck dog. The marks and blinds were also decreased to realistic distances which should not exceed 100 yards. Also, dogs that "hunt" on marks are not usually judged harshly, unless the dog leaves the area of the fall or hunts for an excessive period of time. The hunt test programs are an excellent way to get involved in the game, meet other gun dog enthusiasts, and have fun training your dog year round. 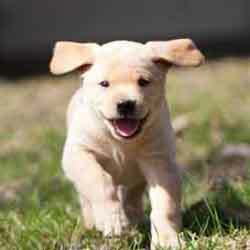 The four Labradors listed below are all exceptional dogs and producers of quality puppies. Their bloodlines are common to the majority of our stud dogs' pedigrees. Raider exemplifies the quality of dog Cashman Kennels produces when selectively breeding dogs that throw traits desired by the avid hunter/trialer. Raider is a relentless hunter that gives 110% no matter what the hunting or training conditions. Due to his intense desire and perseverance, he is a superior waterfowl and upland hunting dog. He was extensively hunted prior to his formal training at age three, which often results in a challenge for advanced hunt test training. However, due to his unsurpassed training attitude, intelligence and natural abilities, he quickly achieved notoriety within one year. He obtained his MHR GMPR and MH titles, and before long, he was nationally recognized and became a well-sought after stud dog throughout the US. Because of his sound genetics, which are being passed down through generations, his popularity is still increasing today. It can be deduced from his performance and genetics, that by breeding some of the best of the English lines (see background on Risky) to some of the best American lines (see background on Full Choke), you can get the best all-round gun dog from Cashman Kennels. Risky is Raider's father and is 100% English. His lines are found in many of our stud dogs, despite the fact that he had limited breedings. Because of Risky's ability to reproduce his traits, including pointing, in his offspring, most of his pups became exceptional all-around gun dogs. Proven by the number of his offspring that excelled in competition, his sound genetics have passed on from generation to generation. Their accomplishments include numerous Master titles in AKC, NAHRA and APLA tests. In addition, they have also excelled in upland competitions including state and national pheasant events. In the annual US Open Pheasant Championship, many of Risky's offspring earned the Championship Title. Full Choke was extremely well-known, especially in the Midwest as a stud dog. Much of his notoriety is due to the fact that his desirable traits, admired by the serious hunter, are being passed down from generation to generation. Full Choke's father earned his American Dual Champion (Duel CH) title. This title is only given to the dog that obtains both its Field Champion (FC) and Show Champion (CH) titles. This title has not been earned by any other lab in many years. Full Choke, who was 100% American bred, had the bonus of being a pointing Labrador which contributed to the demand for outstanding hunting pointing labs. Lean Mac produced more Field Champions than any other Labrador in the history of American Field Trials. Lean Mac is a 2 x NAFC 2xCNAFC. By 2004, his titled offspring included 6 National Field Champions (NFC) and 52 Field Champions (FC). Consistent with our interest in selecting top quality dogs, as well as his obvious ability to throw his desirable traits, Lean Mac is a plus to our success in selectively breeding for quality Labradors desired by gun dog enthusiasts. The History page of this website has helpful additional information that explains how our breeding philosophy matured.